Learn & Master by Legacy Learning Systems provides a range of award-winning courses that include ballroom dancing, drums, piano, painting, photography, blues guitar, guitar setup and maintenance, and freestyle guitar (Source). Their ambition is to provide comprehensive and dynamic home-learning solutions as an alternative to traditional schooling or expensive private lessons (Source). Their multimedia courses are designed to make the process of skill-acquisition easier and less painful, enabling beginning, intermediate, as well as advanced users to self-educate and learn at their own pace from best in class instructors (Source). Their self-directed courses are designed to be easy to follow, adhering to step-by-step progressions that are intuitive for learners to proceed through and acquire new skills at a comfortable pace. Legacy Learning Systems has also supplemented their multimedia courses with active user forums where instructors and other users gather together to provide support and answer questions. Let's take a look at 5 of our favorite Legacy Learning Systems "Learn & Master" series. The Gibson Learn and Master guitar course is renowned for its thoroughness. 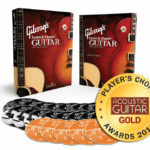 It won the prestigious Acoustic Guitar Magazine Players Choice GOLD award, as well as to Telly awards and the AEGIS award for excellence in education. The guitar instructor is Steve Kranz. Reviewers we spoke to were of the consensus opinion that he was an exceptional tutor and that the audio and video production quality were exceptional. 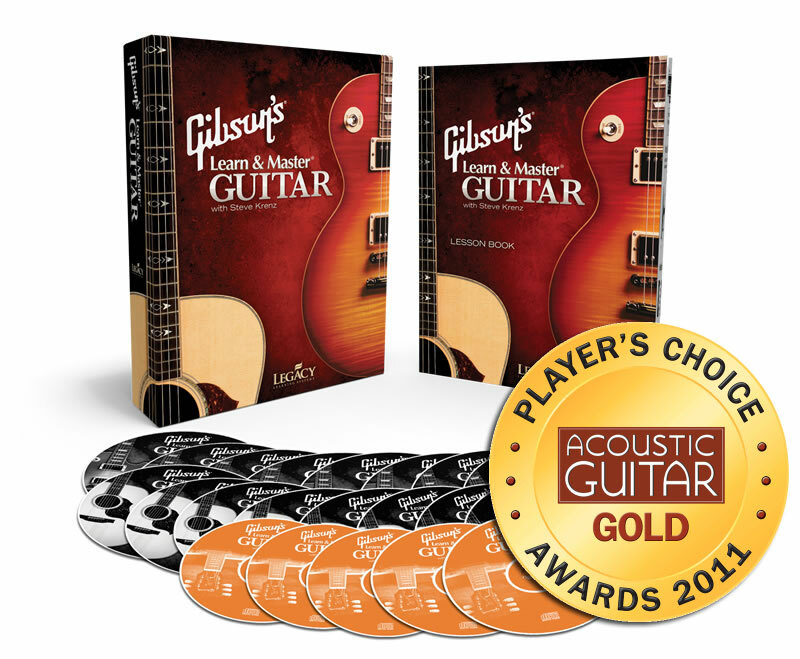 20 HD DVDs that contain over 40 hours of guitar instruction. 5 CDs with jam-along content. A guitar lesson book with over 100 pages. Access to an online student support site. We spoke to a number of users that purchased the Learn & Master guitar course, and for the most part, they have provided highly positive reviews of it. One reviewer that we spoke with says that he has been a guitar player for over 20 years and he purchased the course to help him overcome some of his musical limitations. Because he never received any formal training and was primarily self-taught up to the point of an intermediate skill level, he realized that he was lacking some polish and accomplishment that required some additional instruction. This reviewer we spoke to said that overall the course does and excellent job of providing guidance for a range of differently skilled guitar players, covering basic through advanced principles. The guitar instructor himself is endearingly warm and a highly capable teacher that provides methodical and well-paced instruction. Everything is explained clearly and he is evidently an exceptional guitarist in his own right. The course provides dynamic instruction, frequently mixing things up so that they remain interesting and fresh. For example, mixing up musical theory with hands-on learning applications utilizing a variety of different resources- the workbook, DVD sessions and CD musical accompaniments that are included for you to jam with. The content covers an enormous spectrum of different skills. So you will be studying things like music scales, chords, finger picking methods, soloing strategies, different musical styles like jazz and blues guitar, and much more. Every session includes a suggested time period for learning the content and budgets 15 to 30 minutes of practice per day. Some of the sessions may take as long as a couple of weeks, while others may take only a week. Some of the downsides that reviewers mentioned are that since everything is self-directed you are responsible for maintaining your practice schedule and being disciplined about learning course content. If you have trouble being disciplined about practice and are generally not a self-starter type, you may not be disciplined enough to truly take advantage of this guitar learning course. Another criticism some users have is that the course is very heavy on a music theory. If you are just looking to learn a couple of cool-sounding guitar riffs to impress your friends at parties, this probably isn't the course for you. On the other hand, if you are invested in mastering the guitar, you will require a foundational understanding of music theory. So, for some users, this is a real strength of this guitar-learning program. It really depends on what you're looking to get out of it. It uses a split screen, in many cases, showing simultaneous views of the left and right hands, or the tablature and music staff- this provides an enhanced learning experience. Regarding its cost, while many aspiring and experienced guitar players will spend thousands of dollars over the course of several years taking guitar lessons, some reviewers say it makes sense to purchase a $1000-$2000 quality guitar and spend your time learning from this dynamic guitar course rather than from an in-person tutor. One buyer that we spoke with said that the course takes around 10 to 14 months to finish. When you are done with it, you'll be able to read music, I understand how it works, and have a solid comprehension of electric gear, acoustic guitar, some facts. Overall you will have learned how to play the guitar and understand the language of musicians. As well, the course is supported by a vibrant discussion board with many international users, so you will always have that resource to fall back on if you acquire some additional assistance. 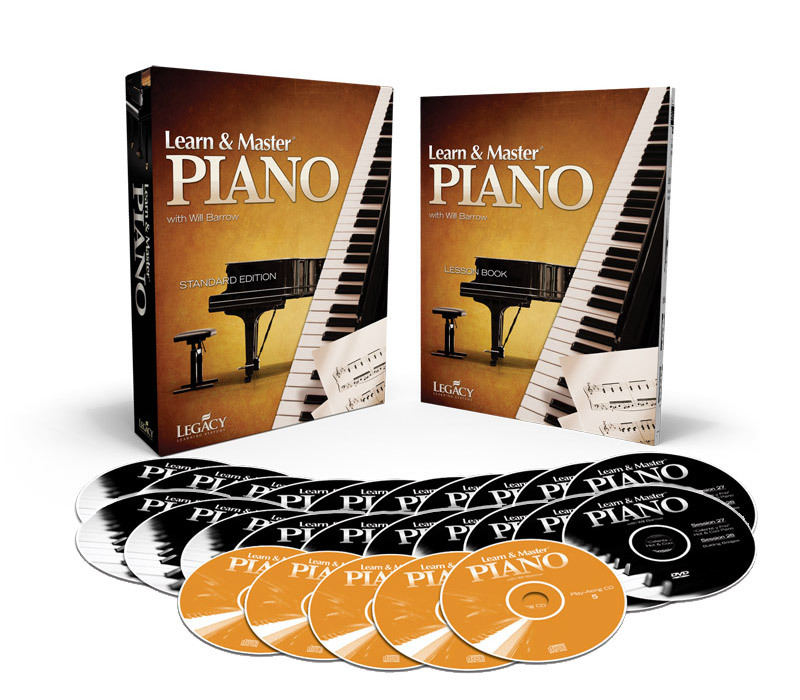 The Learn & Master piano by Legacy Learning Systems is designed to walk you through learning the piano with the help of the instructor Will Barrow. 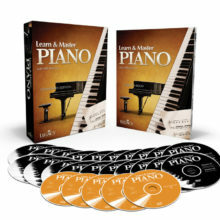 Users that we interviewed said that it is a straightforward and relatively easy to follow piano instruction course though at around lesson 12 the skill requirements do jump up a bit. One intermediate-level pianist who had taken lessons all throughout his childhood purchased the course to resume learning the piano. He told us that, in general, he considered Learn & Master piano course a solid buy, but he does say that the instructor goes off on tangents every so often showing off his professional pianistic abilities. Kind of annoying- but probably meant to be inspirational. He also thought that there needed to be more instruction regarding notes that go well above and below the clefs. Another criticism a reviewer we spoke to had was that once the lessons become more advanced you will require an 88-key piano. Those that are using 61-key digital keyboards will find this moderately inconvenient. Another buyer that we spoke to said that the instructor's pacing is sometimes a little off. There times when he goes way too slow and times when he goes way too fast. Another problem users encountered is that some neglected to order the workshop DVDs. They say that while you can read about workshop content in the included Lesson Manual, your learning experience will truly suffer if you don't have the included workshop DVDs. Another reviewer that we spoke to says that they ended up purchasing Music Theory for Dummies as a supplement to the Learn & Master piano course- and this provided a great deal of clarity around some of the course content. Other reviewers we spoke to echoed the general consensus that this is not a perfect product, but it is still pretty well done and the instructor, in general, does a good job. They say that while the pacing is indeed a little bit off, you can always rewind and watch parts of it over to get more familiar with it. And, if you consider the return on investment, to work with a quality piano teacher can cost upwards of $60 to $100 per session, so investing a couple hundred dollars in this instructional course might save you money at the end of the day if you focus yourself on learning the content. Plus, when you do go to see a piano teacher you'll be ahead of the curve, and get better value for your money. 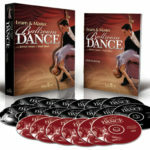 The 13 DVDs found in Learn & Master Ballroom Dance will be the heart and soul of this training course. Every dance is divided into figures with step-by-step training for both the woman and the man, so you know precisely how and what to rehearse. While you study the individual parts of each figure, the display screen divides into two frames - one displaying the instructor’s entire body and the second displaying a close-up shot of the instructor’s feet. The student can concentrate on the feet or the figure overall. 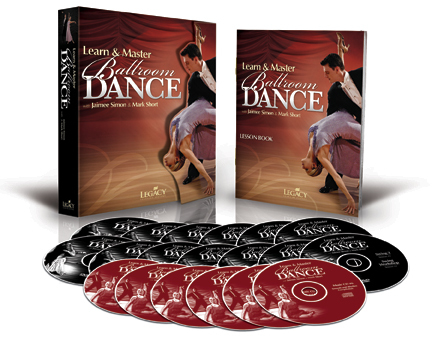 The Learn & Master Ballroom Dance course by Legacy Learning Systems provides a multi-media resource for individuals who want a home-learning solution. This course is designed to be a comprehensive package to help aspiring dancers become skilled at ballroom dancing. Reviewers that we spoke to said the lessons are structured well, and organized in an intuitive fashion so that you are able to really get a grasp of the basics quickly. The course does not move too fast, so you and perhaps your home-dance partner can easily digest the material. Unlike other courses online, reviewers say that you can easily observe the foot movement of the dancers because it is set against a dark background that really makes the movements pop. Another reviewer that we spoke to says that they were able to learn six of the more classic ballroom dances, progressing from easier to more difficult, from this course. In general, the course provides you the basic steps, progresses to more advanced and interesting moves, and then you are taught a routine for each. Many people who purchased this ballroom dancing course said that it was an effective way to supplement the live lessons they were also getting. Other reviewers said that while the course was excellent, they don't think it could fully replace the experience of hands-on instruction. Another reviewer that we spoke to said that in his opinion it is probably the most comprehensive resource for sale on the Internet to learn how to dance. He said that it's a quality resource for beginners, but also still useful for more experienced dancers that need to improve and polish their leading and following techniques. As well, it does cover a broad range of styles from East Coast swing, cha-cha and rumba to foxtrot, tango and waltz. Nowadays, many people resort to YouTube and other video sites to discover learning solutions, but the reviewers we spoke to say that this multimedia ballroom dancing course provided better instruction than they've been able to find free on the Internet. Some other purchasers that we surveyed say that the reason they bought the course because their dance studio is a 45 minute drive from their homes. After a long day at work, they were not always up for the commute and figured that a home dance instruction course would be a smart way of acquiring the skill without the hassle of a long drive. In their opinion, the videos were informative for both the male and female partners, providing different views of the footwork, and that the teachers were fun and upbeat dancers. Overall, they thought, as intermediate-level ballroom dancers, that the video course was a fun and fresh way to polish their technique, all at their own convenience. Another buyer that we spoke to applauded the instructors Mark Short and Jamiee Simon- saying that they provide clear and concise verbal explanations of all of the dance demonstrations on the video. Their instruction was paced in a comfortable manner, allowing new ballroom dancers to taking the lessons without feeling overwhelmed. Overall, the reviewers that we spoke to endorsed this instructional ballroom dancing course as an effective training resource for both novices and more experienced ballroom dancers. The Learn & Master photography course with instructor Vince Wallace has received fairly positive reviews from the buyers that we spoke to. 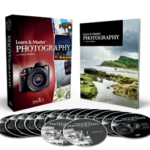 One reviewer endorsed it as an essential course for beginner and intermediate photographers. It provides a solid foundational understanding of such core concepts as the trio of aperture, ISO, shutter speed, how exposure functions, and how to best use their camera in manual mode. As well, it also provides instruction on core principles of design- instructing novice photographers about the rules of photographic composition so you can learn them the right way from the start. One reviewer that we spoke to said that some of his fellow users thought the content was a little boring, but he says this is on account of the video instruction rarely cutting to different angles. It primarily uses a single camera angle when the instructor Vince Wallace is talking for long periods of time, which means that the users' eyes are locked into the same position for extended periods. Really, though, it is like sitting through a lecture- while it would've been better to vary up the camera angles a bit to make the instruction more engaging, this is not a big deal. Overall, this particular buyer said that Vince Wallace is a fount of valuable information. Indeed, he is at home teaching photography, unlike other video instructors that look and feel unnatural providing instruction in this format. 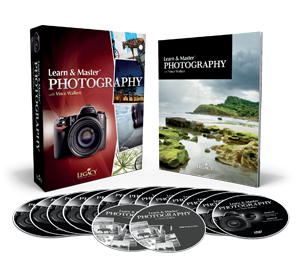 Some reviewers rave about this format of instruction- they described having been unable to learn this content reading a book or manual, and find that the plain-English video courses provide a practical and easy way for them to learn photography. This reviewer summarizes his experience saying that if you are a beginning photographer, purchasing this course will provide you some solid foundational understanding about your DSLR camera. It will also give you the confidence you need to practice in the field and contribute to photography forums, where you can learn even more from experienced users. Another purchaser that we spoke to endorsed the learn and master photography course as a great way to understand how cameras work, what all of their functions do, and how to use lenses effectively. They say that after purchasing their Canon Rebel digital camera, they wanted to familiarize themselves with its more advanced features- and found that the instructor provided an easy and casual way of learning about these advanced functionalities. While the course content could be a little slow at times for advanced users, beginners and some intermediate users found that the pace and content was perfectly suited to their skill level. Another user that we spoke to was pleased with the depth and breadth of the learn master photography course, saying that the interactive lessons provided an excellent means to learn how to create stunning photographic imagery. They were impressed with instruction concerning indoor and outdoor photography, methods of capturing human and other life subjects, and how the DVD content provided specific details concerning how to do soft shoots, capture warm skin tones, understand shadowing concepts, shoot in low-light scenes, deal with motion and take portraiture photographs. 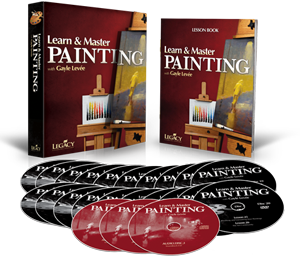 The Learn & Master painting course is a home instruction learning system designed to help individuals learn how to paint with both acrylics and oils. It is taught by the master artist Gayle Levee, who instructs via a series of interactive lessons to provide a robust foundation for the aspiring artist. Users that we spoke to had uniformly positive opinions about this home-school painting course. One reviewer who had graduated from college with a degree in studio art said that she had been frustrated and finding an online course that provided old masters techniques and other traditional painting methodologies. She says that this learning course filled in a lot of skill deficits in her artwork, supplementing her earlier training in abstract art, and making her a more complete and skilled painter. Further, she says that Gayle is a beautiful speaker and has a true knack for communicating. The course is excellent for artists of all skill levels, not just for novices trying to get a grasp of the basics. The course content provides solid understanding of how to use oil and acrylic painting on canvas, communicating how the styles differ. Another reviewer that we spoke with described this as a comprehensive and highly enjoyable course that was an excellent resource for her as an intermediate-skilled painter. It went through all of the basics that she required and helped her embellish and improve on her original paintings. Further, she described lessons as engagingly fun with production values that were consistently good. 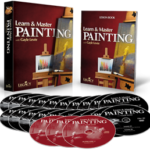 Other reviewers described taking in-person oil painting lessons from highly qualified instructors and say that while nothing can replace in-person instruction, purchasing a comprehensive educational resource like this can establish a strong foundation and supplement more expensive training. A beginner that we spoke to says that the course was indispensable for her to pick up the basics, helping them transition from acrylic to oil painting. As well, she thinks that advanced users will get something out of this as well, perhaps brushing up on painting skills and techniques that have gotten dusty with disuse. Indeed, learning to paint for many is a daunting proposition. However, the step by step pacing of this video instruction is great for novices as well as more advanced painters to make their work look more realistic. Some of the core concepts included are setting up and maintaining your studio, how to best take care of your painting materials, the best means of communicating your theme, choosing colors appropriately, developing compositions, and working to draw objects in perspective. Indeed, users that we spoke to expressed confidence that they had improved their abilities to create the illusion of depth, as well as illusion of distance in painting, things that have formally been difficult for them to achieve. Home instruction is a surprisingly dynamic way to learn just about anything you are interested in. Many people take home instruction courses, delivered through different media resources, to learn how to manage their finances, become more healthy and fit, or even learn a musical instrument. One of the great things about instructional video content is that if you don't initially understand the concept you can rewind the video and hear it repeated. Though it should be said that instructional video and other supplementary course content is not a complete replacement for hands-on guidance from experienced instructors. As we've seen, many people purchase a Learn & Master course series to supplement their home instruction with lessons from highly skilled tutors in their area. Computer-assisted instruction is a trending means of providing educational resources, whether that is delivered through the Internet and various streaming web content sites, or by a CD or DVD. The buyers that we interviewed often expressed some initial hesitance concerning attempting to learn photography, dance or music through a non-in-person means, but they were pleasantly surprised at how effective it was to learn in this self-paced manner. Advances in educational technology, often referred to as e-learning, makes it easier than ever for knowledge to be disseminated around the world. Some of the reasons why this trend in online learning education has exploded recently is that there are factors in play like increased ease of access, efficiency, lower expense, stability as well as technological improvements. If you are interested in learning guitar, piano, painting, photography or ballroom dance all from the comfort of your home, you should check out Learn & Master by Legacy Learning Systems. They have been in the business of creating multimedia home instruction solutions for a long time and their audio and video production quality is top notch. As well, their products come with a 60 day return policy so if you are unhappy with them you can always get your money back. Besides receiving literature, DVDs and CDs, there are vibrant online learning communities that can support you as you begin to master your musical instrument, your camera, or the practice of ballroom dance. The safest buying options to purchase through learn and master.com as opposed to resellers on other platforms that might be something you only part of the course.